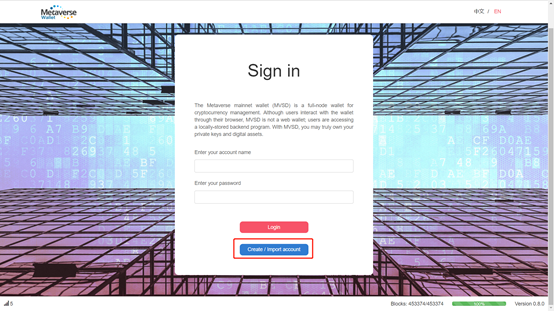 The Metaverse full-node wallet is a cross-platform wallet program that operates trustlessly. It currently supports the Windows, Linux and MacOSX operating systems. You may also use our light web wallet verified using SPV at https://myetpwallet.com. 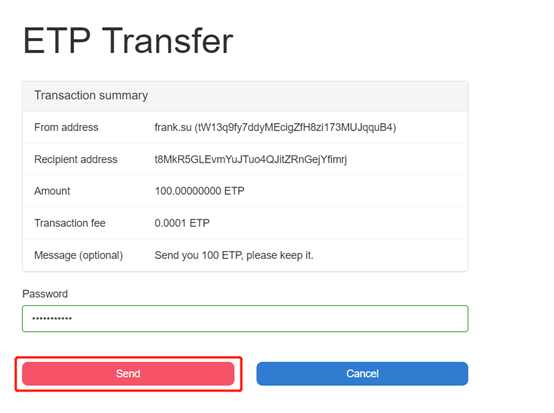 You may collect a small amount of mainnet ETP here. After the installation is complete, the wallet shortcut icon shows up on the desktop as follows. 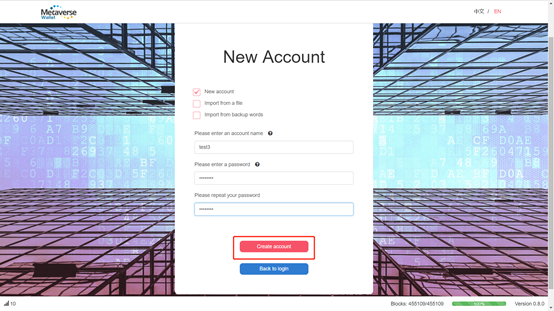 Double-click the wallet icon to enter the login page and click “Create/ Import account”. Set your account name and password, then click on “Create account”. 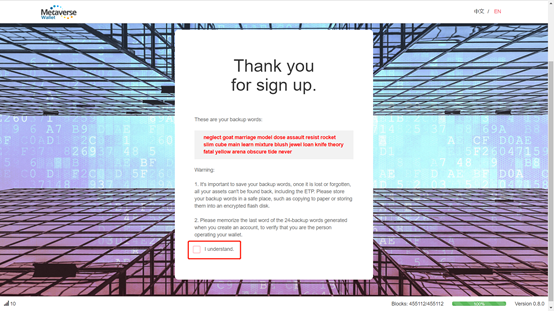 Write down the backup words and click “I understand” to complete registration. Open the wallet and click “address” at the top of the navigation bar to view your receiving addresses. 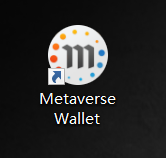 Any of the addresses in your wallet can be used to receive digital currencies developed on the Metaverse public blockchain. You may choose any one of your wallet addresses as the receiving address. Metaverse Wallet provides a portion of the block explorer’s functions. Users can inquire about blocks, transactions or the details of an address through querying the block’s serial number, the transaction hash and the address respectively. Each transaction produces a hash. You may view a transaction’s details via querying its transaction hash. Click the “transfer” command shown next to your assets. 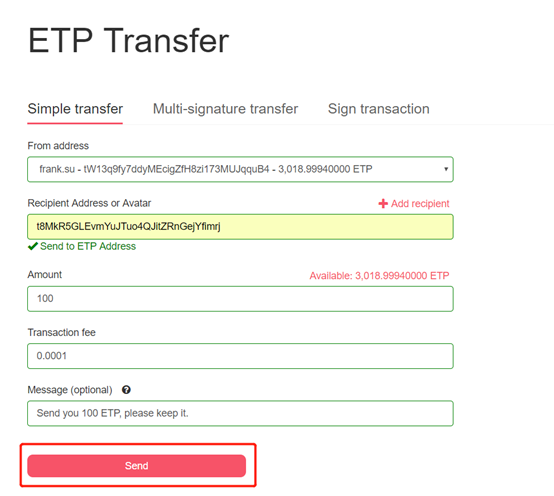 Fill in transfer details such as the sending and receiving address, transfer amount, transaction fee and message, then click “Send”. After double-confirm the transaction summary, enter password and click “Send” to complete the transaction.